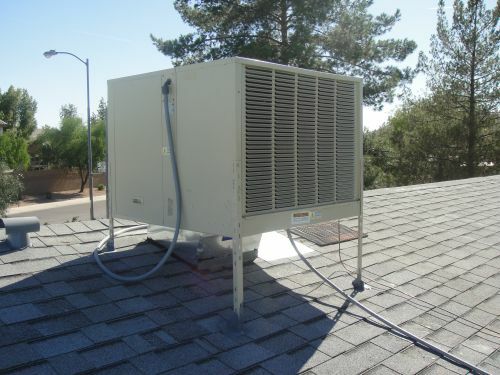 Evaporative Coolers are a common alternative to conventional air conditioning systems in the Phoenix Metropolitan area. Evaporative coolers are very energy efficient and work perfectly in the dry climate of Arizona. Since 2000, Arctic Fox Heating and Air Conditioning has been professionally repairing and installing evaporative coolers in homes throughout Phoenix, Glendale, Peoria, Surprise, Sun City, and surrounding communities. Our customers appreciate our prompt evaporative cooler services that we perform with honesty and integrity. Evaporative coolers are very dependable cooling units, but occasionally they do need repairs. Arctic Fox Air Conditioning and Heating knows evaporative coolers and can immediately come to your home and make repairs. Common problems with evaporative coolers include plugged lines, blown motors, calcium buildups, and broken belts. These problems are easily fixed by our evaporative cooler technicians. Repairs can usually be made in about an hour getting cool air flowing back into your home. Call Arctic Fox Air Conditioning and Heating today for evaporative cooler installation, repair, or maintenance. One of our helpful staff members will schedule a time for services that works with your schedule. We perform our evaporation cooler services in cities like Glendale, Surprise, Phoenix, Sun City, and Buckeye, along with all of the other communities in the West Valley. Call us at 623-533-5718. You can also reach use with any evaporative cooler questions that you may have through our Contact Us page.